“What we are celebrating today is not just all of you--individual inventors and their inventions--but the living spirit of invention and innovation that thrives here in this country like no other place in the world,” said Deputy Director Rea during today’s awards ceremony. 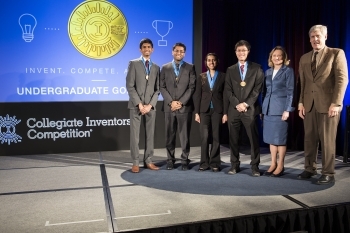 For many participants in the Collegiate Inventors Competition and numerous others nationwide, invention starts in grade-school classrooms, where enlightened teachers encouraged hands-on learning and open-ended thinking. And it continues in basements and garages across America, where bright young minds explore and experiment. USPTO’s partnership with Invent Now helps to ensure the social, technological, medical, and economic health of our country through education and outreach, and includes programs like Camp Invention, which reaches tens of thousands of children each year, igniting their passion for creativity and inventive thinking. 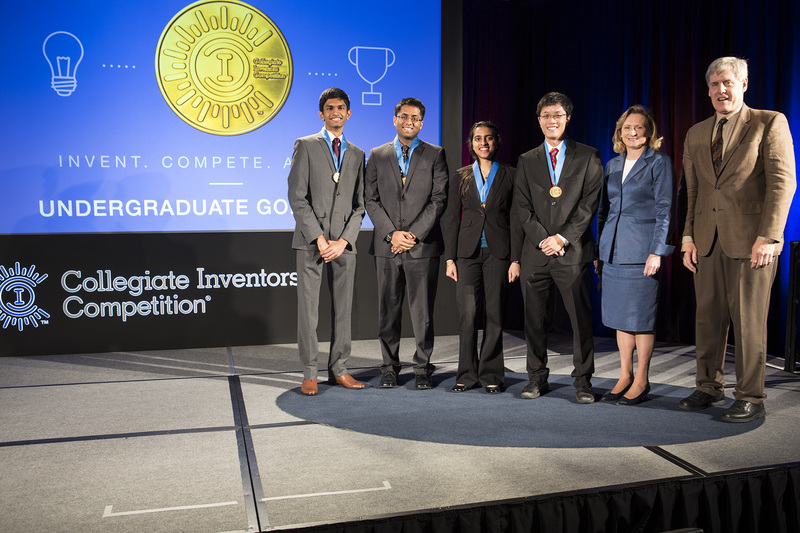 The Department of Commerce’s United States Patent and Trademark Office is proud to recognize today’s young innovators and encourage them to continue to foster the long-standing culture of American innovation to become tomorrow’s inventors and entrepreneurs.